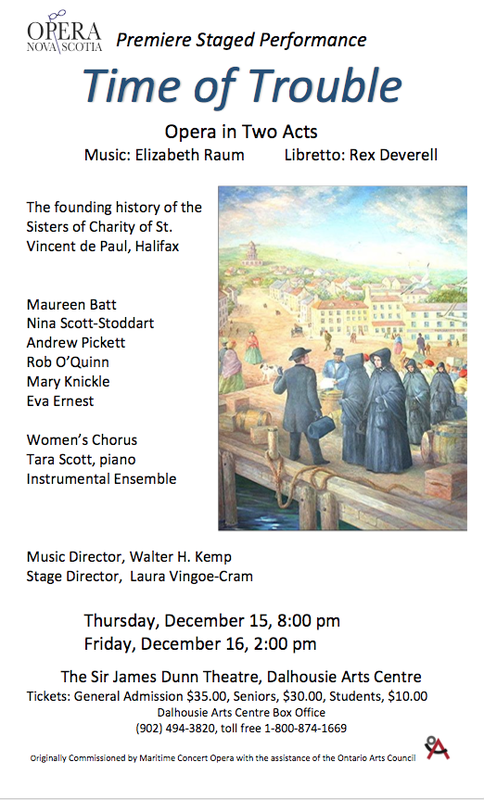 A new opera, A Time of Trouble, with libretto by Rex Deverell and assistance from the Ontario Arts Council, explores the history of the Sisters of Charity of Saint Vincent de Paul who went on to found Mount St. Vincent University in Halifax, Nova Scotia, and their power struggle with the Archbishop. WITH THE FINANCIAL SUPPORT OF THE ONTARIO ARTS COUNCIL. This entry was posted in A Time of Trouble by admin. Bookmark the permalink.